Who says Married life is boring! My first month of married life has been anything but. I apologize for not bringing you up to speed sooner, but there's no better time than the present. Here we go! Over the last month I've also been working on the MAD FIT PODCAST! Due to popular demand, Madison and I have completed our first interviews with other fitness influencers local to the Dallas Area. Mai-Lyn, aka Deep Fried Fit and founder of Fitness Ambassadors and Manuel Gonzales, founder of November Project Dallas were kind enough to sit down for our first interviews. I couldn't have asked for two better people to be our first interviews on the MAD FIT Podcast. You can find their interviews and a link to the the podcast HERE. In a few weeks, I'll also tell you more about how I found myself at the Electronic Daisy Carnival for the 3rd time. It had been 5 years since my last visit to EDC, boy has it changed! I took advantage of this opportunity to conduct my second calorie burning experiment: How many calories can you burn while at a EDM Concert? I'll also share some tips that may be helpful to anyone looking to attend this festival in the future. What a crazy experience, more to come..
On top of everything else going on, The Dallas Spartan Race Stadium Sprint is coming up and the Evolve Gym has put together a team to compete at the race. We have just over 3 weeks left until race day, and I have taken it upon myself to lead a few race specific training sessions for the team at Evolve. 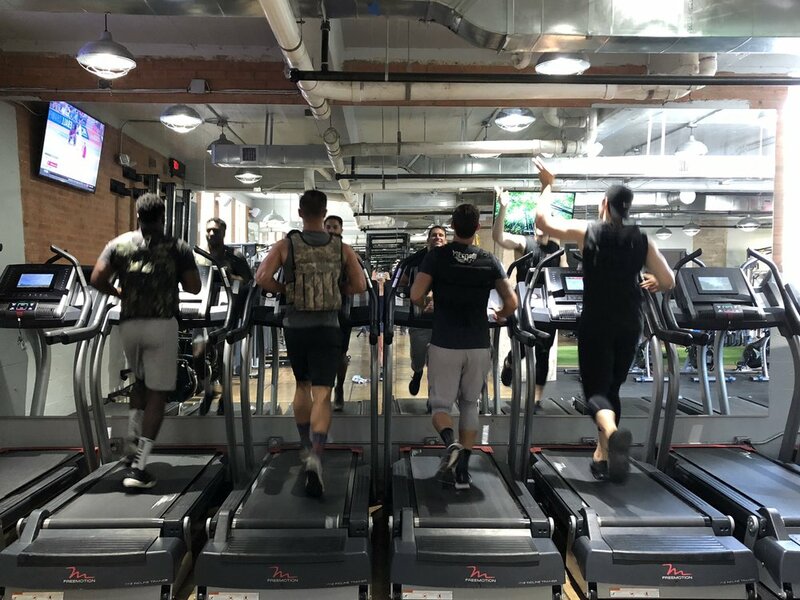 Although I'm not worried about any member of my team not finishing, I figure my previous experience in Spartan Racing could help them tackle some of the obstacles we don't really practice during our normal HIIT Sessions at Evolve. Can't wait to see how strong our team performs on June 16! And so as you can see, I've been a little busy over the last month. But that is no excuse, I started this blog with the intention of staying consistent. This break has gone on long enough. I've got a lot of content coming this way over the next few weeks, so stay tuned, it should be pretty entertaining!